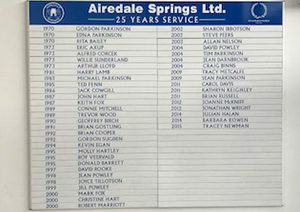 As a fresh thinking, dynamic company Airedale Springs has become an industry leader. Since starting out in 1945 as a traditional family business we’ve combined our up to the minute expertise with advancing technology. Over the years it’s helped us achieve our world-wide reputation for outstanding quality and service. At the core of everything we do is our philosophy, ‘Small enough to care, big enough to mean business’. From compression springs to extension springs, from developing hand crafted bespoke springs to vast volumes, our team has the facilities and the knowledge to create a great cost effective result every time. Registered on 7th June 1945 and operating from a small ‘Garrett’ in Keighley, Gordon Parkinson and his business partner Cecil Hopkinson were mainly engaged in manufacturing wire handles for glass accumulators, expanding curtain rails, and long close coiled springs with wooden handles designed to clear blocked drains. 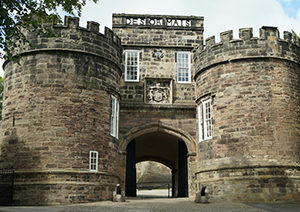 The Company’s first registered office was in Skipton and the design of the Company logo was based on the turrets of Skipton Castle. The Company moved to Royd Mill between Haworth and Oxenhope employing many staff who were to remain with the Company for over 25 years – many more would follow their lead. 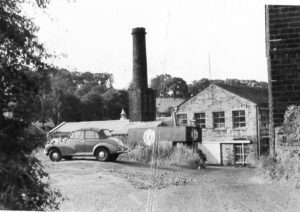 A move to new premises at Harry Lane works, next to Oxenhope railway station – expanding rapidly and supplying key customers such as English Electric and Joseph Lucas. 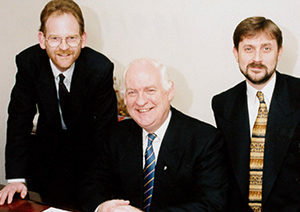 The Company acquired a number of other businesses operating under “The Dales Group of Companies” and employing nearly 250 people. As well as springs they manufactured bed interiors, break shoes, fancy goods, radiator caps and provided sub-contract finishing services. 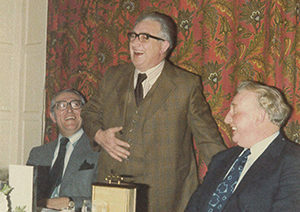 In 1973 the Company held the first of many “25 year club” dinners to celebrate, with the first 6 employees achieving this milestone. The Company focused on its core business in spring and wire form manufacture by selling off parts of the group. 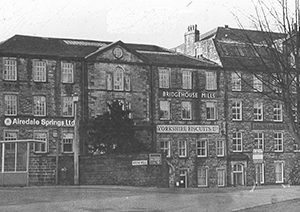 By 1974 the Company needed to expand so rented Bridgehouse Mills in Haworth and for 24 years successfully operated from their two sites at Harry Lane and Bridgehouse Mills. 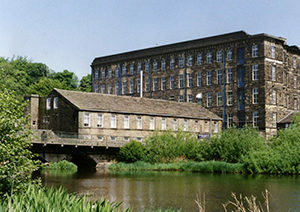 In 1988 the Company acquired Ebor Mill in Haworth. This marked a turning point for the Company as the entire business now operated from one site, for the first time since 1946. With all the extra space the Company invested in the latest equipment, incorporating computers to control the machines and its production control systems. This new high technology machinery and apprentice training programmes were successfully implemented and essential to ensure the continued economic production of a wide range of products to the highest quality standards. After 50 years of service, Michael Parkinson handed over the reins to the next generation, Tim and Sean Parkinson. 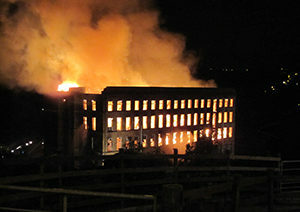 On 14th August 2010 a fire at Ebor Mills destroyed the building and its contents within hours leaving the Company without a production facility – but with grit and determination and a good deal of kindness from a great many, the Company were back in business within days. 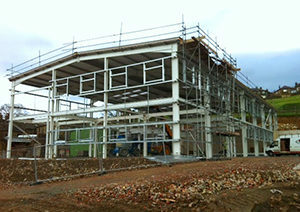 The following 11 months of battling with the insurers was a challenging time for all involved but within weeks of receiving a pay-out, works commenced on a new building behind Bridgehouse Mills in Haworth, only a few feet from where the Company had been based previously. 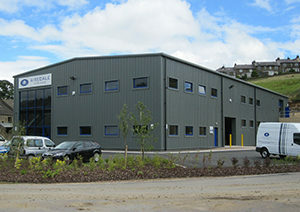 The move into ‘The Spring Works’ (aptly named by one of the Company’s longest serving members of staff ), was much celebrated, not least as the new state of the art facility was filled with the very latest CNC equipment to produce the widest range of spring and wire form products in the Company’s history. In recognition of their achievements in re-building a successful business following the fire, the Company received many awards including EEF awards for Environmental Efficiency, Innovative Operating Practices and Business Growth; Manufacturing Excellence by the Institution of Mechanical Engineers; Manufacturer of the Year, Employer of the Year and Small to Medium Enterprise of the Year from Bradford Means Business and more locally, a series of awards from Keighley Business Awards including Overall Business of the Year. With a total of 17 CNC machines and 5 apprentices out of a 32 strong team, the Company continues to invest in equipment and its staff development. Planning has been approved for an extension to add an additional 30% of floor space, taking our total investment since the fire to £5 million. Our ‘25 year club’ which was started in 1973, will welcome its 49th member in November 2018 – a statistic the Company is very proud of. The club celebrates the importance of maintaining key skills within the business and of close-knit family values within the business – something the Company endeavours to reflect in all of its business relationships. All this is supported by exceptional standards, demonstrated when we became the UK’s first spring manufacturer to achieve BS5750 now known as BS EN ISO 9001:2015. Our success has continued from there. 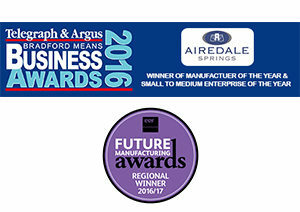 With a drive for world class quality and a commitment to excellent service it’s no wonder Airedale Springs is the number one choice for many international and leading British names.